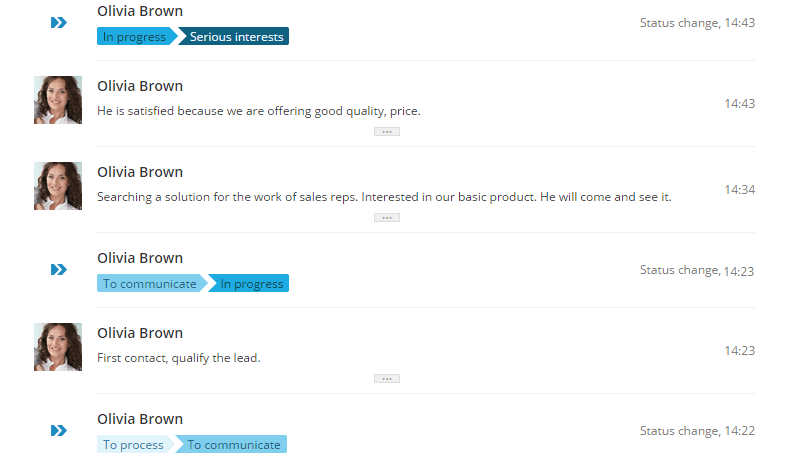 How does MiniCRM help sales representatives? Sell faster. Sell smarter. Sell more. 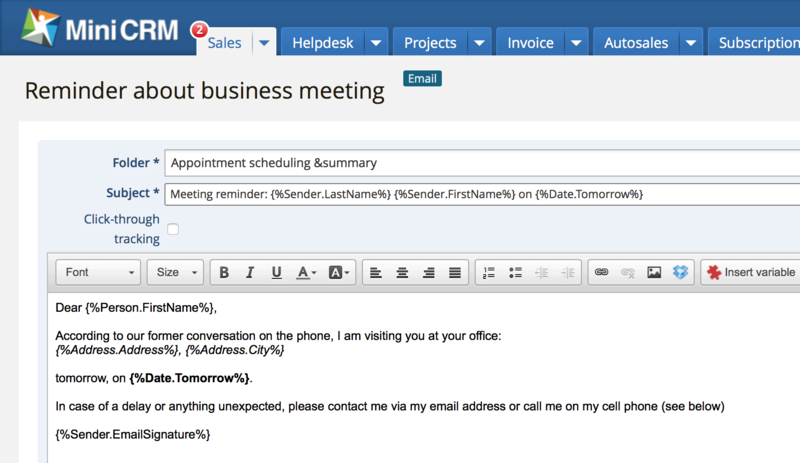 Close offers effectively: automate follow-up with MiniCRM. Create a task for yourself - either some months in advance. This way if you have a meeting in 6 months you’ll know exactly what you have agreed on previously. 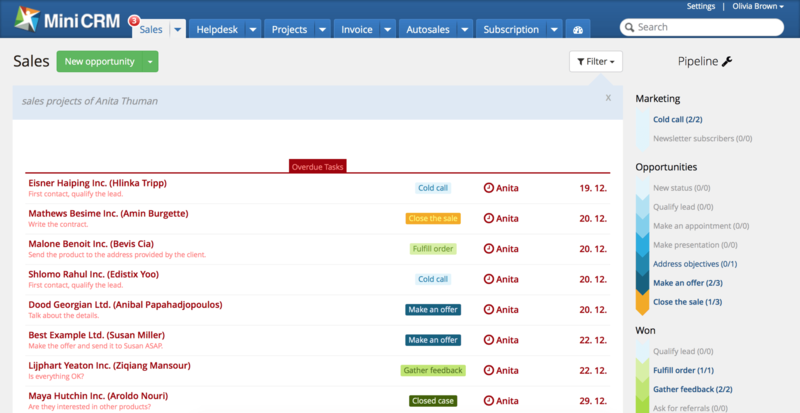 Tip: Assign those tasks to colleagues that they can help the customers with. How serious is your lead? MiniCRM automatically categorizes and qualifies your leads so you know who needs your accentuated attention, who is most likely to become a customer. Tip: Collect data in MiniCRM regarding what kind of lead you’re dealing with, if they have already made a purchase and if so, what. 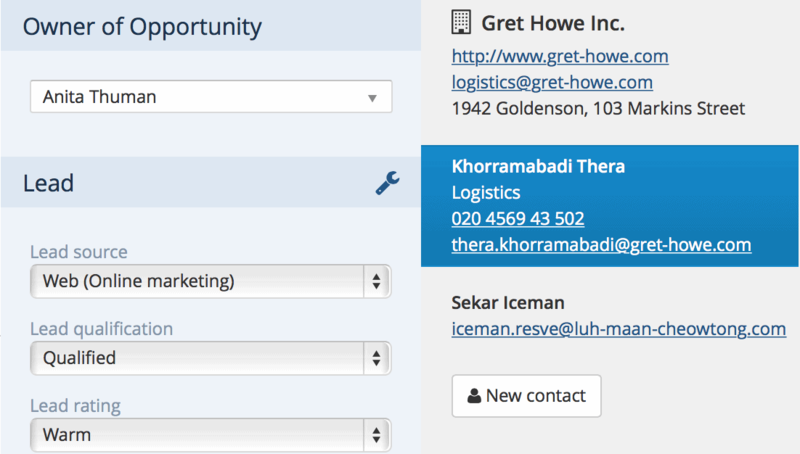 Collect soft information on your leads in MiniCRM. If your lead feels like VIP they are more likely to buy from you. Store your customers’ data in MiniCRM. Your colleagues will see that in real time; this way anybody can look up, for example, a customer’s phone number. Tip: Enter customer data into MiniCRM on your smartphone or tablet even if you’re on the road, so you won’t lose any important information. Filter the cards of the colleague you have to substitute to see their tasks for the day. This way you know exactly what you have to do, and will be able to help any customer who calls you unexpectedly. Use follow-up sequences. Send a reminder to your partners about the meeting next day, payment reminder to your customers, or helpful tips to convert your leads. Lots of reports to write? 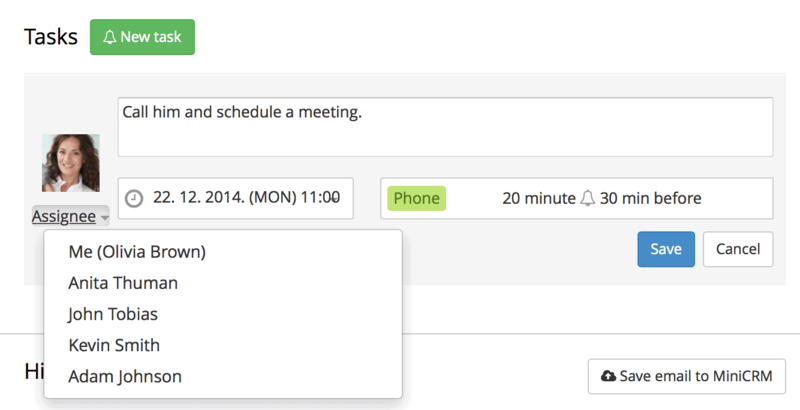 Check your work efficiency in the real time reports in MiniCRM. As a sales representative, your most important task is to convince leads that they need your product. Your work is extremely important as the company’s income depends on it. Group your leads to know who’s a prospective buyer and needs your accentuated attention. Check what you have agreed on last time you spoke with a customer, what they have bought, or in what products are they interested. Send automatic reminders to those who haven’t responded to your offer or haven’t paid yet, or help them make a decision on buying.